On-line Moisture Measurement Solutions Bulk Industry | Quality2Process B.V. 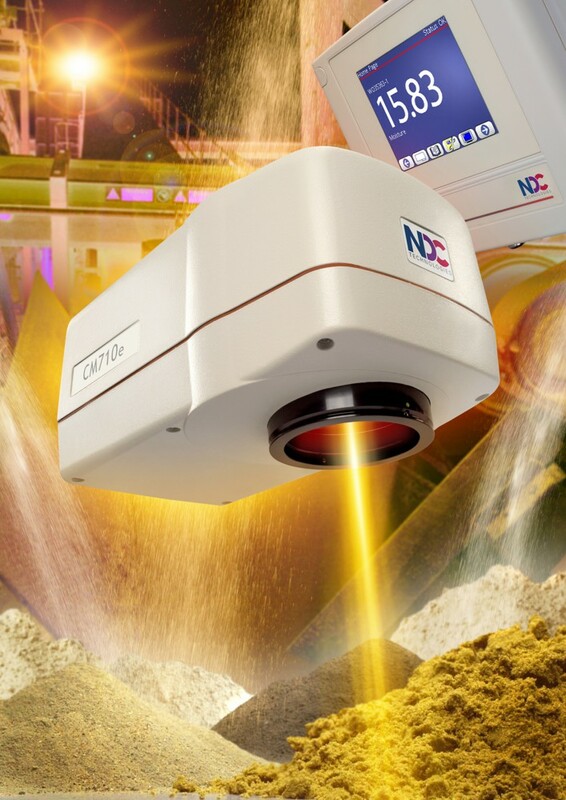 The NDC Measurement Solutions offer an unrivalled performance with high accuracy, repeatability and stability for the on-line measurement of moisture in a wide range of applications in the Bulk and Chemical Industry. The on-line CM710e NIR Moisture Measurement System for continuous measurement of moisture during drying processes. The CM710e 'Heavy Duty' on-line moisture gauge designed specifically for harsh industrial environments. Supplied with a robust stainless steel housing, sealed to IP67, for those measurement locations where process conditions present a major challenge. Available optionally in ATEX certified configurations. The CM710e is ideal for mineral, ceramics and chemical processes. Copper, lead and nickel ores, sinter mix, phosphates, bauxite, chalk, fluorspar, bentonite, kaolin, limestone, dolomite. Ceramic powders for tiles, clay, sand, concrete mixes, cement, quartz sand and furnace slag. chips and powders, chemical powders, neoprene rope, PVC powder. Fibres: Cotton, filter tow, acetate, textiles, rayon, tyre cord. Others: Sewage sludge, composted waste, cork.